After months of anticipation, the initial lineup has been announced for Moogfest, the music festival and conference once located in Asheville but moving to Durham in 2016. The four-day event will take play May 19-22 and topping the bill are ODESZA, Gary Numan, GZA, Laurie Anderson, Explosions in the Sky, Blood Orange, sunn O))), Oneohtrix Point Never, Suzanne Ciani, Reggie Watts, Sun Ra Arkestra and The Orb. 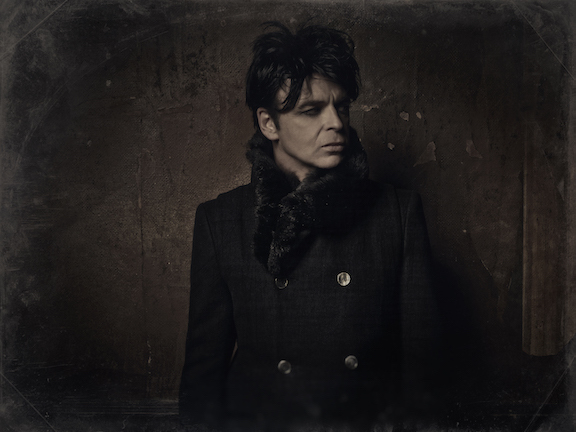 Gary Numan will be featured in a three-night residency and GZA in a two-night residency. Check out a lineup video featuring musician and funny man Reggie Watts below. The rest of the lineup thus far is Actress, Alessandro Cortini, Arthur Russell's Instrumentals Directed by Peter Gordon, Ben Frost, Bicep, Blazer Soundsystem, Christian Rich, DJ Harvey, Daniel Bachman, Daniel Lanois, Dawn Richard, Dawn of Midi, Daye Jack, Demo Taped, Denzel Curry, Earthly, Empress Of, Floating Points, Grouper, Gwenno, Hanz, Heathered Pearls, Hieroglyphic Being, Hundred Waters, Jaakko Eino Kalevi, Jlin, Julia Holter, Juliana Huxtable, Julianna Barwick, Karen Gwyer, King Mez, Kode9, Kyle Hall, Larry Gus, Laurel Halo, Lotic, Lunice, M. Geddes, Gengras, Mac McCaughan, Made of Oak, Moses Sumney, Mykki Blanco, Olivia Block, Paula Temple, Professor Toon, Qrion, Quintron and Miss Pussycat, RBTS Win, Rabit, Rival Consoles, Robert Hood, Ryan Hemsworth, Shallou, Silver Apples, Simian Mobile Disco, Son Lux, The Body, Tim Hecker, Tory Lanez, Trandle, Tyondai Braxton, UV boi, Veronica Vasicka, Via App, Well$, YACHT and Zombi. There will also be a series of conversations and workshops covering a variety of topics. Check out the presentation lineup HERE. Tickets for the festival are available HERE. The venues for the event, according to Indy Week, will include both traditional spaces as well as non-traditional spaces for performances and events including Motorco Music Hall, the Motorco parking lot, three spaces at the Carolina Theatre, two spaces at 21c Museum Hotel, three spaces the Durham Art Council, the First Presbyterian Church, Duke's Innovation and Entrepreneurship facility, an outdoor stage in CCB Plaza and another in Diamond View Park. It should be an interesting and likely very walkable event.